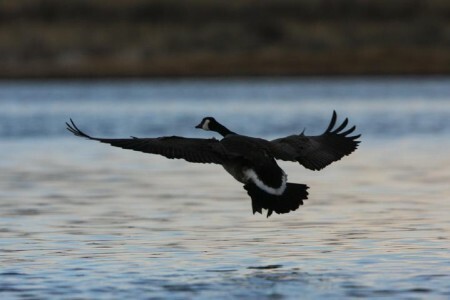 In accordance with federal guidelines the Central Flyway goose season is to close for two days in eastern and centreal Montana. The Central Flyway is the goose hunting season in eastern and central Montana that goes until January 13th. Monday January 7th and Tuesday January 8th are the two days the goose season will be closed. Duck season closes one day earlier on January 3rd in the Central Flyway. Well the international Migratory Bird Hunting Act restricts state waterfowl hunting seasons to 107 days per year. So, Montana sets aside two of those days for the Youth-only season which then only leaves 105 days for the general goose and duck hunting to take place. Since it was petitioned to leave the season open for one additional weekend through January 13th – the commission agreed to close hunting for two days ni the Central Flyway and then reopen to stay in accordance with the 107 day restriction. What counties does the Central Fly include? What are Montana’s migratory-bird hunting hours?